... on the following ideas that have come out of our brainstorm on parking. Parking zones outside retail areas: Time restrictions in front of the local shops and businesses, perhaps to be self-policed by residents and business owners (in the form of polite notes). Permit system: Here, a larger area would be subject to a permit system, whereby residents and business owners would be permitted to park (permit would need to be paid for), but ‘outsiders’ would need to adhere to time restrictions. Creation of an additional car parking area and bus stop: Oxford Road playing fields car park with accompanying new bus stop. 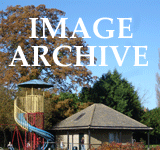 We also have a supporting image gallery. Permit system for residents time restrictions for outsiders. The car park by the doctors should be permanent two hour restrictions. This surgery covers a wide area and some people have to come by car. The last few times I have been there has not been 1 space, I was just taking glass, but it is unfair on older people going to the doctors, they should not have this hassle. There are people using it as park and ride,from other villages when it is not far to Water Eaton where for £2 they can park all day without being a nuisance to the residents. I am talking Cassington, Long Hanborough and Bladon when they are half way to Water Eaton. The buses are every 15 minutes there so should not be a problem, and it is very easy. I think the restriction on the car park should be first locals before commuters every time. I live in Church St (back of the Co-op) which unfortunately has no official footpath, only a badly marked painted one. If cars notice it and park beside it they block the road for the large Co-op lorries delivering at the back door. If they ignore it they park across my windows (especially 4x4s and vans) and completely block my light causing me to switch my lights on. I constantly have drivers knocking on my door asking me if it is my car. Self-policing doesn't work as I often get abused and even have had rude notes in my letter box! The poor souls whom I have plucked up courage to approach usually turn out to be visitors to the churchyard, which I don't mind, but all day parkers and night time as well are a pain. Often Co-op visitors park across my gate and that of my neighbour, which we use all the time. We are 80 and 87 year old respectively (my husband and I); and many friends have buggies, and younger visitors push-chairs, and are unable to enter and have to knock on the window for assistance. Creation of another car park by the skate park with bus stop would sort out the commuters, Oxford shoppers, Weddings and Funerals - just a few come from Church Hanborough because their own busses have been axed - give them back their busses - that would help. I love living in the High Street albeit without a garage - I need to park outside my house for many reasons day and night, so Resident Permit Holders Only would be welcome and it would not affect Disabled Blue Badge holders. Short Term Limited and Shared Use parking would be disastrous as it would provide conscience free parking for all and sundry and I would never get a space. We live in the High Street and do not even think about going out in the car until after 10:00 as we know that we'll never get parked again. It's obvious that people are parking here to catch the busses into Oxford or Witney for work. Parking permits would a good option but we do not want to exclude short time parking for the shops or Church activities during the week (funerals etc). If a bus stop and extra parking was made available by the skate park would it encourage more cars into the village. Parking zones seem to work elsewhere but have to be policed to become effective. All three options have their merits but also issues. My street suffers particularly badly from 'convenience' parking (as opposed to resident parking) because of our proximity to the centre of the village, offices, shops, churches, bus stops, and, because it is a cul de sac, whatever comes up has to go down, a double whammy. I see resident parking permits, for those who reside in the street, as a fair solution and am prepared to pay for peace of mind. It is a problem which will only get worse. I have for several years mentioned the parking at NAG meeting, but nothing has happened!! I have witness people getting out of their cars in the High Street and getting on the same bus as me and returning on the same bus in the evening, and home they went "Thank you for the free parking. It is so congested, it is getting harder for buses to come up the High Street, !! Soon we will have to go to the A40 to catch a bus to Oxford or Witney!!! I have noticed they have started to park in the children swings car park. If I wanted to drive my car down to the Coop or Spars to do my weekly shop, I would have to drive back home and go back to the shops and carry my shopping home. So what I do is drive to Witney where I can pack officially and Free. Parking in the Doctors car park, thats fine but if one wants to drive to the Doctors there are no spaces, unless you are disabled or have a child. Before we know it they will be parking at the end of Evans Road and cutting through the gap in the wall!! There should be a ticket machine here to stop people parking all day for free, or time limits. Parking in the Tuer, thats a road, not for parking all day!! Toll Bridge, there should be a weight restriction, the bridge was build for horses not cars, when it fall down into the river, !!! its along way round to Oxford, Abingdon etc etc. The idea of Park and Ride is a great idea on the A40 but will people be prepared to pay. I personally think there should be a sign saying 2 hours, no return before 3 hours. Residents should have a special ticket notice if they live there. There are no yellow lines on the road, one can park on the road to the toll bridge round about with no restrictions!! That will be even more fun when cars are queuing to get over the Toll Bridge!! Timing areas work best. Permits would be un-policeable. Permit parking would be far too draconian in my opinion. And I don't see that it could be policed on a daily basis. Also, it would likely discourage people from popping into the village from outside. Selected times limited spaces near the shops would take some occasional policing to deter day long parking, but would likely need only the occasional ticketing day to make work. Some timed spaces in the car park might be wise too, many cars parked day long there currently are using it as park and ride. I don't see the need for another car park if the one we have is freed up a little at the health centre end by timed areas. 1. Parking zones outside retail area: Do you really think people will take notice of residents trying to self police. We live in a different world now. There is no such thing as polite when it comes to parking. 2. Parking system: Permits! Great, make residents pay. You are trying to stop parking, not penalising residents. Residents parking is fine but not fair making people pay. 3. Another car park: What are you talking about. Provide these people who park in our village a free park & ride. Complete with bus stop. 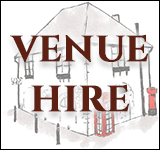 Be sensible we do not want a park & ride in Eynsham so why would you want to provide a free one? When we want to go and watch sport where do we park?! Our car park at the surgery is already full with these outsiders cars. Take a look at it in the week. The answer: RESIDENTS PARKING. Plus restricted times in rest of village. People should be able to park outside their own property. Police it with either our local policeman, or our PCSOs. I know that they have no legal abilities to do this but what can they legally do? Maybe we as a village could apply for dispensation to allow our PCSOs to issue tickets to illegal parkers. PS When are our double yellow lines enforced? Hardly ever or never. Waste of paint. As a resident of the village centre I am glad that the parking problem is getting attention. It is clear that commuter and long stay parking habits cause parking congestion for businesses and make parking a misery for residents in the heart of the village. In recent years flat and house building developments in the centre have also increased demand and road marking changes have reduced the number of spaces. I would fully support a permit system for residents and business owners; this would address many aspects of the parking problem and is a proven solution. Parking zones outside retail areas; this would be difficult to enforce and would unfairly restrict parking spaces for residents whose homes are mixed in with the retail units. Another bus stop by a car park on the commuting route is sure to help but would not be as effective as a permit system. Shopping in the village is very difficult for people with mobility difficulties. There are two disabled bays in the center, one of these is occupied most days, presumably by a commuter. There is little space to increase the number but introducing time limited parking coupled with residents permits would ease the problem. This combined with an additional commuter car park and bus stop sounds to be an excellent solution. The new car park could be charged and the proceeds used to police the parking restrictions. Sorry, lots of rambling but please consider disabled access to the shops. I like to shop in the village primarily because the shops are within walking / cycle distance. Being able to talk to people encountered while shopping is also very important. And being able to walk home after eating out allows me to drink alcohol and not worry about driving. Vehicles going past the shops and through the village I find stop this social interaction. So I would like to slow and /or remove any vehicles travelling thorough the village. For larger shops in the village I do use my car, but I try to do this outside peak times e.g. go to the co-op in the evening. I welcome that some shop deliver large items. I avoid going to the shops around 5pm and at the start and the end of the school day because of the traffic. I would welcome more places to park cycles. I am writing as a resident of the village and someone who has very limited knowledge of parking and traffic procedures. Before you think of any further ideas and get people's hopes up relating to the type of parking enforcement /restrictions you would like to see implemented within the village you should contact Oxfordshire County Council Traffic section. OCC would have to be approve, implement and manage any scheme (together with WODC) because OCC has responsibility for the highway. WODC is responsible for enforcement and need to be able to enforce any new proposals. 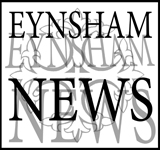 The Traffic Order for Eynsham (if there is one) would need to be re-written and approved before anything could be enforced and this may be expensive. The idea of self-policing cars that are legally parked on the highway with polite notes is not a good one. Parking is a very emotive subject and at the present time I don't think you would have any right to do this because as the current on-street parking stands I don't think there are any time limits. Regarding the Back Lane Car Park I understand this is a WODC long stay car park. As far as I am aware there are no conditions regarding who can park there. In my opinion it's an ideal place for commuters to park because it's keeping them out of the village centre. It is also used as an all day car park by 6th formers at Bartholomew School. If you wish to have a new bus stop this too would also need to be dealt with by Oxfordshire County Council. I do agree that it would be good for the centre of the village if something was done regarding the on-street parking because The Square and High Street are more often than not chock-a-block. Drivers are now parking right the way round The Square sometimes making it impossible to drive round by the phone box. Oxford Road is now becoming regularly parked on one side making it almost one way from the Playing Field. Bearing in mind this is the main route for the S1 bus it often causes problems. High Street is always parked both sides of the road just providing a corridor down the middle for vehicles to travel and Mill Street is now nearly always fully parked with people parking opposite the junction of John Lopes Road which makes it difficult to manoeuvre in this area due to large delivery lorries to Talmages and the Flower shop. I hope you take on board my suggestion that you should contact the appropriate authorities before spending any more time on this matter. They will be able to advise you as to the correct way in which to proceed with this matter. Following your article about parking in Eynsham, I'm a wheelchair user and frequently catch the S1 bus to Oxford or Witney.This arrangement is great, except that because people park everywhere apart from on the speed humps, the bus can only stop on a speed hump to allow me to get on (at the end of Acre End Street). Consequently, the ramp from the bus is too steep an angle for me to get on safely. A few days ago, my wheelchair nearly overturned as I tried to get on!! The suggestions in the paper are all good, especially car parking at Ox Road playing fields and extra bus stop. 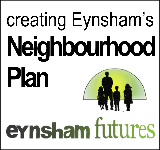 In the course of the preparation of the Eynsham Futures study we undertook a car-count over a number of days covering the High Street, Oxford Road, the Square, Lombard Street, Acre End up to the chemist and Mill Street up to Emporium---and the main car park. Cars were counted, by number plate, at 7am, 9am, about 4.30pm and after 6pm. Some cars were clearly commuting into Oxford. Some were parked for a longish period, probably to allow the owners to take the bus into Oxford for shopping. Quite a few cars parking all day belongef to employers / employees of the various business in Eynsham---many of whom do not live in the village. It is clear, also, that the closure of the 18 bus route and reduction of the 11 services has lead to increased parking. Quite a few of the older people in the village also drive to, say, the Coop, adding further to pressure on spaces in the centre of the village. We live off the square and have to park on the street. It is a pity that the square, which is the square in the centre of the village, is now mainly used as a parking lot. Whatever solution is chosen, it must, somehow, be backed up in law. At the moment illegal or inconsiderate parking is not challenged.